For your first assessment, stand tall with your arms stretched out, like the letter “T.” Ask a friend to measure your wingspan (fingertips to fingertips) and height. Compare the two measurements, then use the guidelines below to determine if you're built for gliding, spinning or launching. If your wingspan is greater than your height, score a point for gliding. Having long arms means you don't have to bend over as much at address. And since a taller stance creates a flatter swing, you're forced to lift your arms on the backswing to create some angle to the ball. The only way to slot the club on the downswing from this upright arm position is to glide toward the target. If your wingspan and height measurements are the same, score a point for spinning. 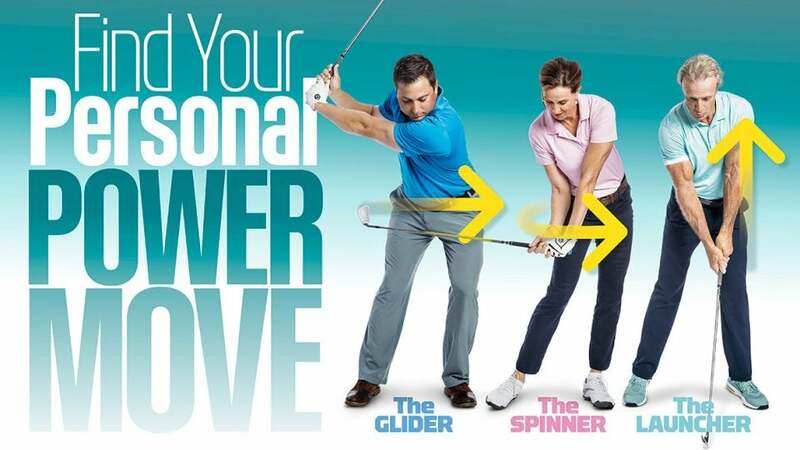 ​With equal wingspan and height, neither gliding or launching are required to slot the club, so your best bet is to maximize spin. If your height is greater than your wingspan, score a point for launching. ​Your shorter arm length requires you to flex your knees more at address to reach the ball and maintain balance. You naturally "pre-load" your body to launch upward (undo the flex in your knees) at impact right from the start.